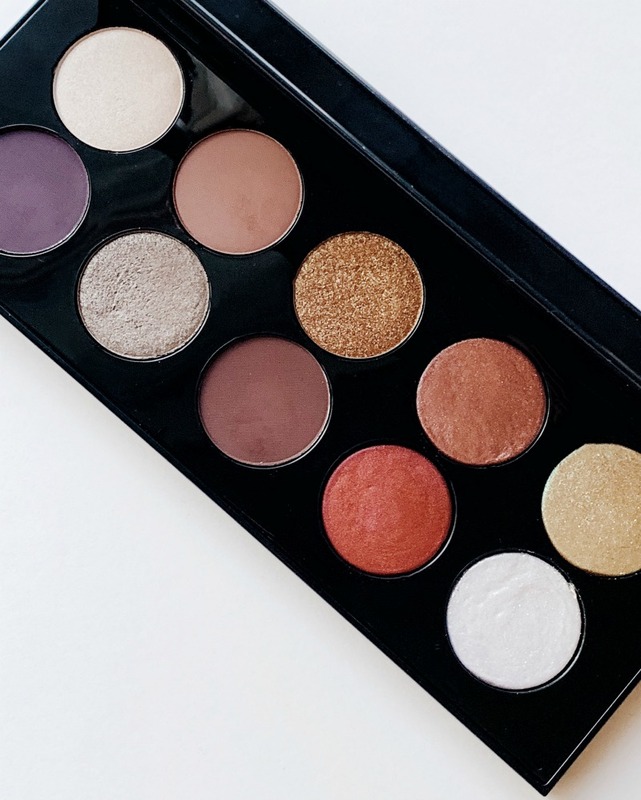 Fall makeup launches this year have been irresistible, and already the Holiday wave of products is beginning to hit the market. I’ve picked up more than usual lately (eeek!!!) and thought I would share my most recent haul, and first impressions. I love the UD shadows, and last year’s NAKED HEAT is one of my top faves. 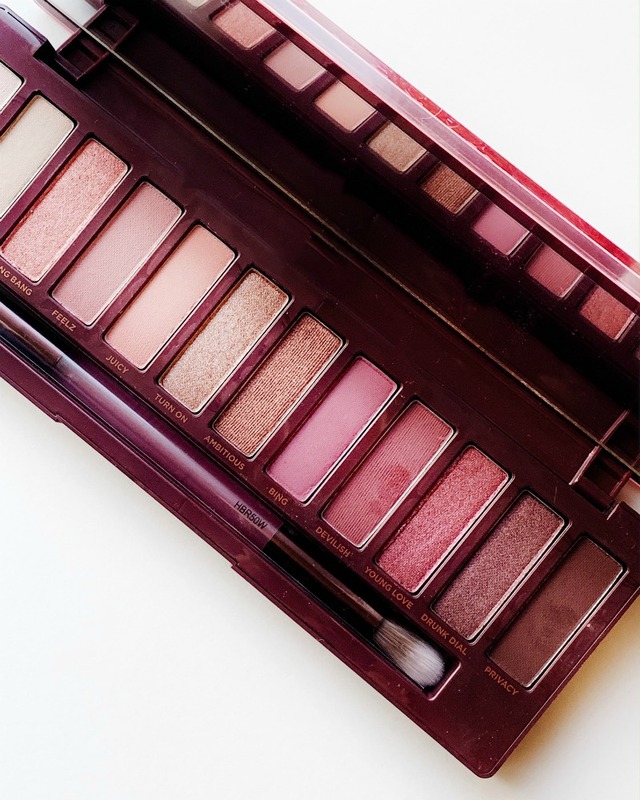 While NAKED HEAT features more reds and coppers, NAKED CHERRY touts berries, cherries and rose golds. I’ve tried it a couple times and the color payoff is great, the hues very wearable and buildable. New fave. I love this color so much. 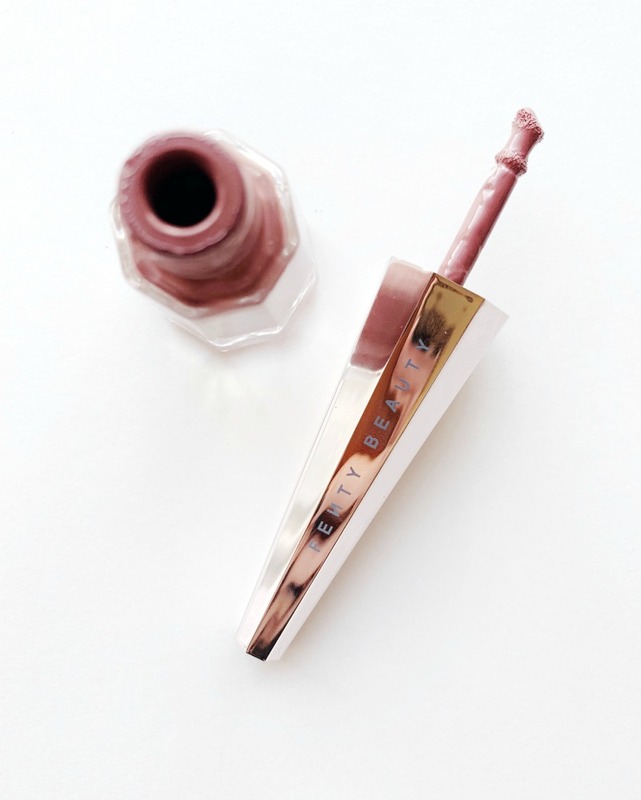 There is a lot of formula in every swipe and the color is a beautiful rosy mauve. It’s a matte liquid lip, so it’s got staying power and isn’t too drying at all, although I do like to add a touch of gloss on top. 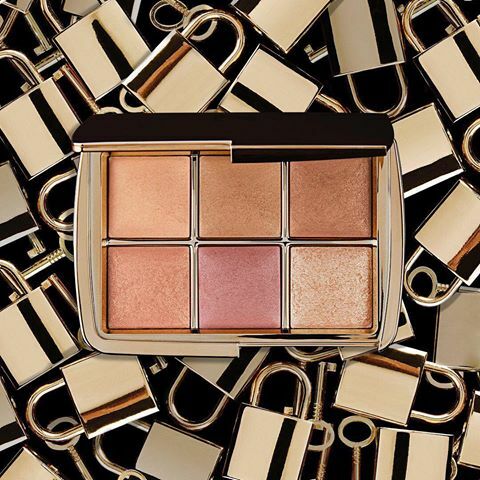 This limited-edition vegan palette features six all-new, exclusive shades of Ambient Lighting Powder, Bronzer, Blush, and Metallic Strobe Lighting Powder. It’s gorgeous and I’m such a big fan of Hourglass’ finely milled formulas. I took this on my last trip and it was so great to have a finishing powder, blush and highlighter in one palette. 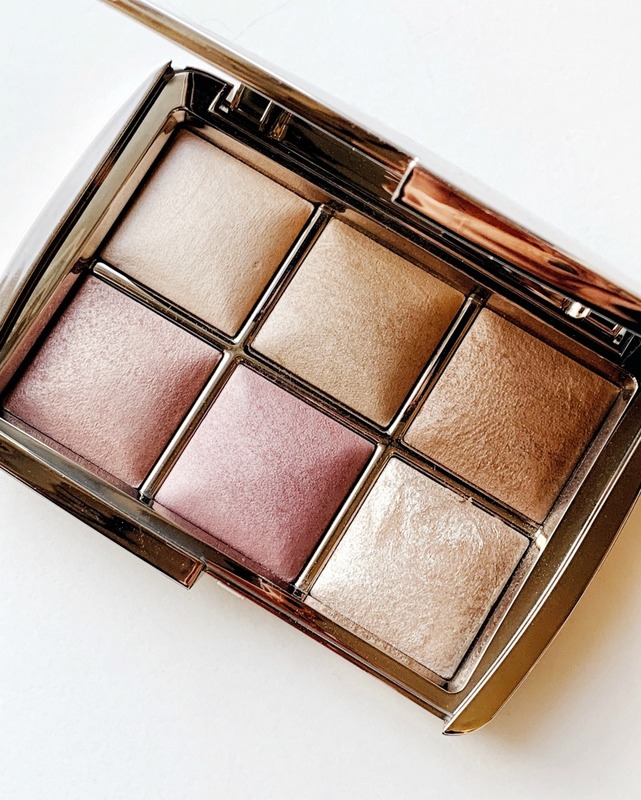 I’ve not had a chance to try these out yet… they’re very similar to the Hourglass Scattered Light shadows (which I love). I’m excited to try out Glamethyst, Glam Noir and Copperazi. 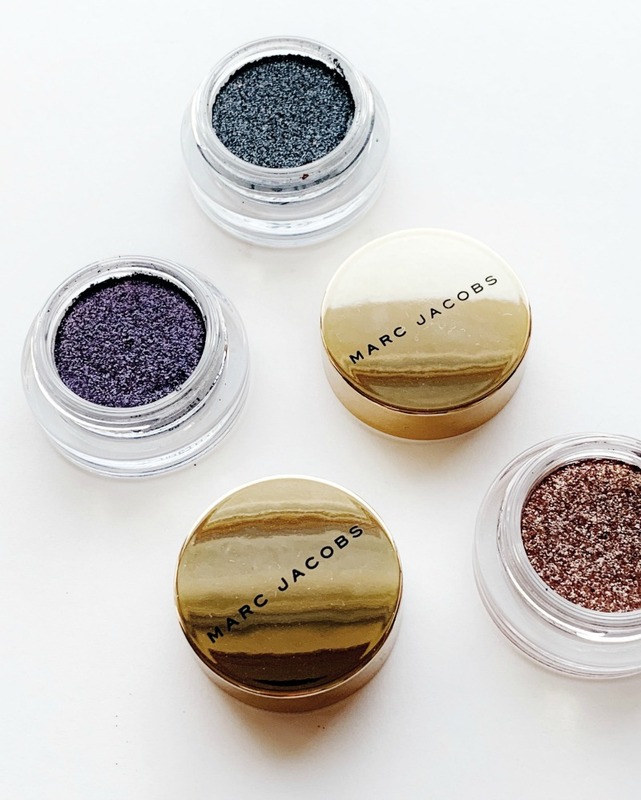 I love that these are so easy to apply (with your finger) for a quick, shimmery touch to the lid. You can also use them to augment a more intense eye look. There are six colors available. 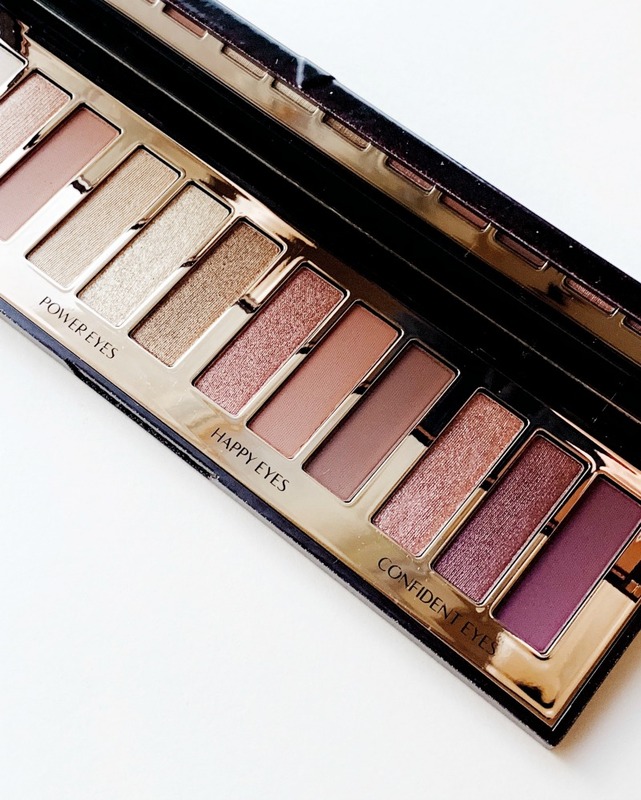 I’ve played with this gorgeous palette a couple of times and the shades are stunning. I feel like Pat McGrath’s shadows are always so striking… they have that intense, extra umph that is noticeable. I love the bronzey shades Bronze Blaze and Guilty Pleasure, and Blitz Flame is wow. It’s also got some darker shades, which I love to use on the outer V, so all in all, it’s a very versatile palette. My newest products to come in! 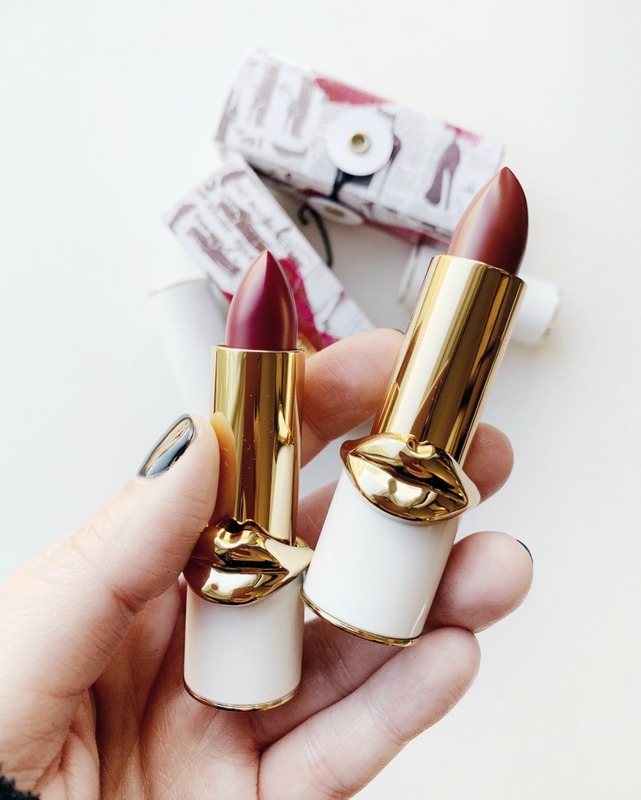 Pat McGrath just recently launched these 9 lip balms which give your lips light to medium coverage and hydration. They go on smooth and feel good on the lips (at least on my first try on). I ordered Dark Devotion (mulberry wine) and Flesh 3 (bronze rose). The colors are gorg, and I’m going to keep on trying them and report back to you! Super day-to-night wearable with beautiful shimmers and smokes, organized into trios that give you specific looks. Everything CT is so elegant and I can’t wait to really try all these trios out!